I'm normally like to work with pinks and purples, but in a leap back to my childhood favourite colour, I decided to give yellow a go. 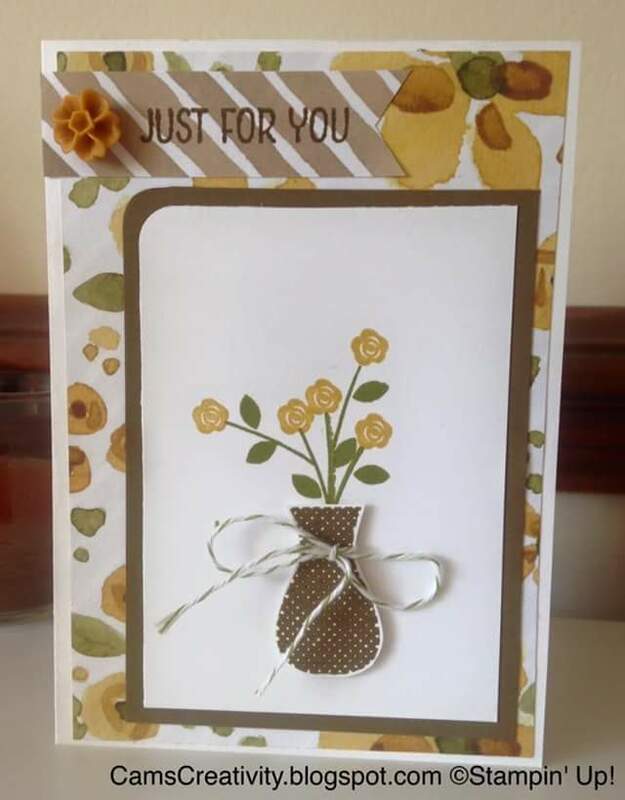 I quite like how Hello Honey and Soft Suede work together on this card, and how the rounded corner draws your eye to the sentiment and the blossom accent. Labels: Bakers Twine, Cam's Creativity, English Garden DSP, Floral Wings, Hello Honey, In Color 2015-17, Just For You, Old Olive, Sift Suede, Stampin' Up!